Triangulum is a €25 million Horizon 2020 project funded by the European Commission to demonstrate cutting-edge smart city technologies and roll them out across the world. 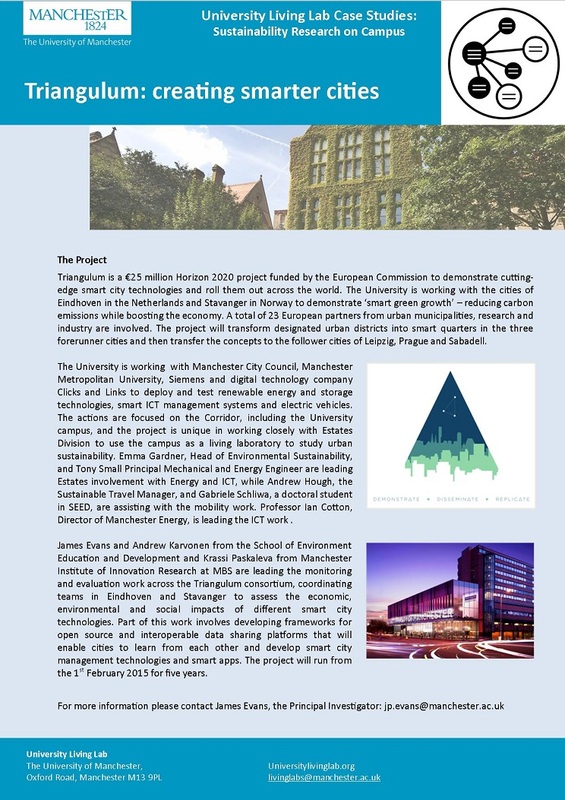 Starting with the 1st February, The University of Manchester is working with the cities of Eindhoven in the Netherlands and Stavanger in Norway to demonstrate ‘smart green growth’ – reducing carbon emissions while boosting the economy. Next week all European partners will meet in Manchester for the launch of the 5-year project. Applied Sustainability Projects now available!